75 PRICE REDUCTION" "BACK ON THE MARKET" Buyer failed to perform, Great Opportunity!!!! 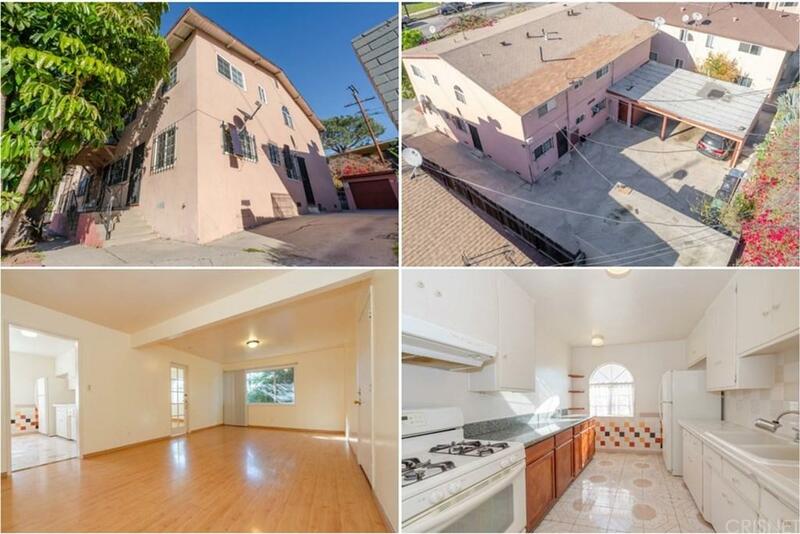 This is one of the best investment opportunities in all of Inglewood. This well maintained building sits on a large 6,458 square foot lot in a great location just minutes away from world-class shopping, fine dining, The Forum, entertainment, the new Ram?s Stadium that is under construction, and Manhattan Beach. Here are a few of its other features: A total of approximately 3,648 square feet of living space, Two 3 bedroom, 1~ bath units; One is vacant and ready to move into, Two 1 bedroom, 1 bath units, Each unit has its own gas, electric and water heaters, Most of the windows have been upgraded to double pane, All the plumbing was upgrade it to copper, Community coin laundry room, With its detached garage and triple wide carport there is plenty of secure off street parking, Great way to underwrite your mortgage by living in one and renting the others, HUGE BONUS! No rent control, Call now for all the details and I?ll gladly arrange a private tour.